This study examines the influence of partner involvement in decision-making for breast reconstruction (BR) on women’s body image and post-BR decision regret. 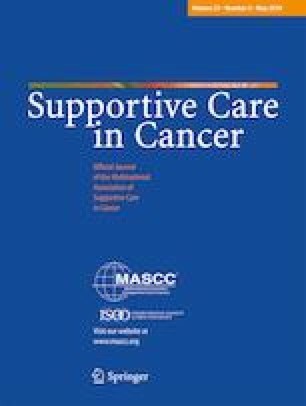 A cross-sectional and correlational approach was used in a convenience sample of 105 women in Taiwan who had breast cancer (BC) whose partners were involved in decision-making for BR. A structured questionnaire including the Involvement in the Breast Reconstruction Decision-Making Process Scale, the Body Image Scale, and the Decision Regret Scale was administered. Pearson’s r and path analysis were used to examine the relationships among the dyadic BR decision-making process, women’s body image, and decision regret. The greater the amount of medical information women had, the better their body image and the less decision regret they experienced. Moreover, partner involvement was not related to women’s body image, though it was inversely related to women’s decision regret. The final path model showed that the amount of medical information women obtained was directly related to body image and decision regret, while body image also directly influenced decision regret. Overall, the amount of medical information women obtained and their body image explained 45% of the variance in decision regret. Medical teams should provide female BC patients with complete medical information, and through partner involvement, women can be supported to make an appropriate decision regarding BR to achieve optimal levels of body image and lower levels of decision regret. This research was partially funded by the National Cheng Kung University of Taiwan, and the authors declare that they have no financial relationship with the organization that funded the research. Ethical approval was approved by committee of the National Cheng Kung University Hospital (Taiwan) (IRB number B-ER-104-097) and Changhua Christian Hospital (Taiwan) (IRB number 150711). All procedures performed involving human participants were in accordance with the ethical standards of the institutional and/or national research committee and with the 1964 Helsinki Declaration and its later amendments or comparable ethical standards. The authors have full control of all primary data, and they agree to allow the journal to review their data if requested.